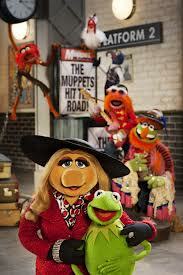 It's time to meet The Muppets… Again! Brian recently joined over fifty other puppeteers on The Walt Disney Company’s newest production: The Muppets… Again. The sequel to 2011 highly successful ‘The Muppets’ sees Kermit and friends on a European tour and falling foul of Kermit’s evil doppelgänger Constantine. As well as all of the Muppet favourites, the cast also features Ricky Gervais, Tina Fey, Ray Liotta and Tom Hiddleston to name but a few. Due for release in 2014, you can read more about the movie HERE.